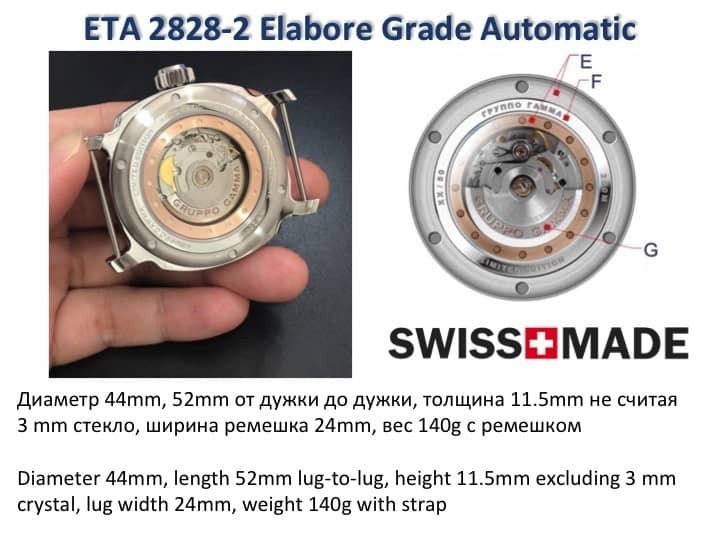 Швейцарский автоматический механизм ЕТА elabore grade, 2 ремешка (включая один ремешок ручной работы из акулы от Брусницына) и очень сложный многослойный сендвич циферблат с преобладанием синих цветов. Вставка из полированной стали, винтажный люм и центр гильоше. Всего будет выпущено 50 штук. Мы еще не открыли официально предзаказ, но уже часть тиража зарезервирована для наших друзей. 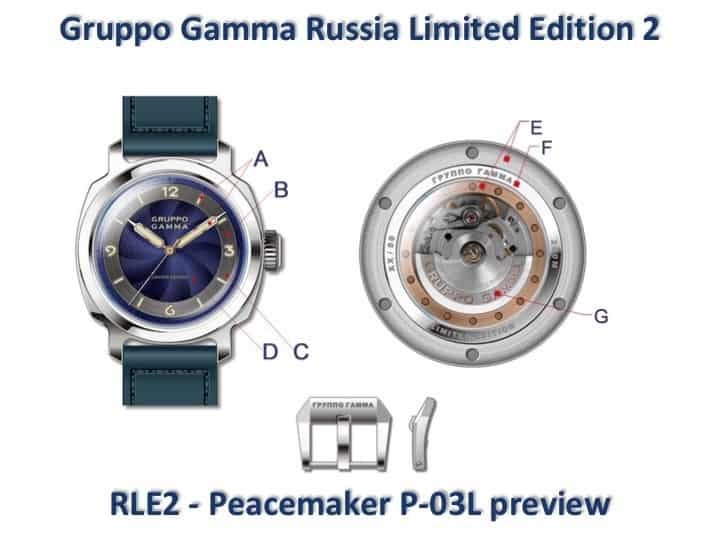 The Peacemaker P-03L also known as Russia Limited Edition 2 (RLE2) is our second limited edition of 50 individually numbered pieces. 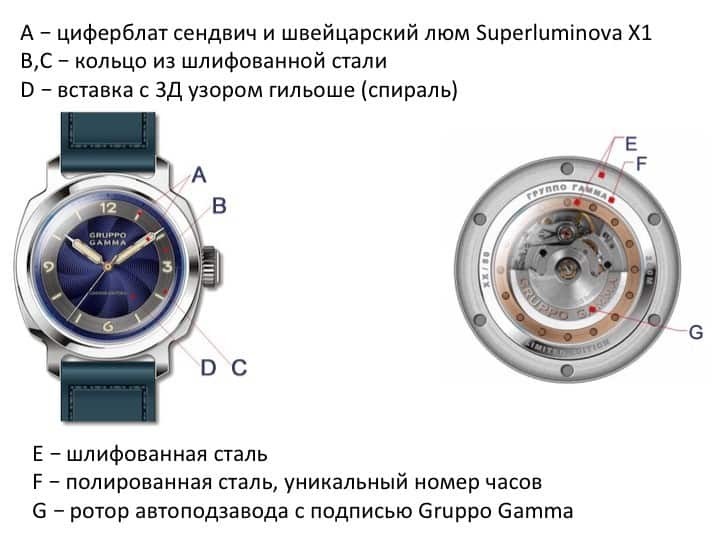 The watch is dedicated to the sea and we call it internally “GG Akula” because it is a relatively large elegant watch and is fitted with a shark strap. 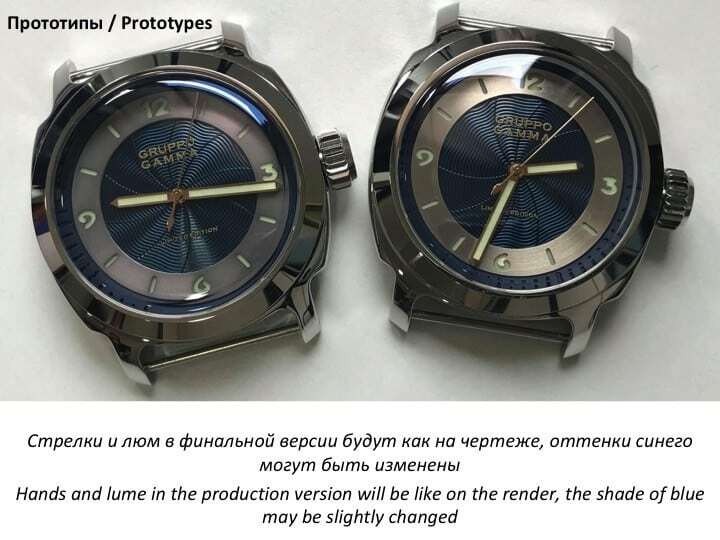 More than one year was necessary for the development of this watch and many prototypes were produced to achieve the result we wanted, producing the most elegant blue GG watch ever. We are very grateful for the support of GG HQ that allowed us to bring our ideas to life. The central part of the dial, a blue guilloche, reminds us of the deepest seas and the central ring in brushed steel is a reference to submarines. The blue strap, handmade of genuine shark leather by Brusnitcyn workshop in Saint Petersburg perfectly complements the watch and ensures a sophisticated look. Bright Swiss Superluminova lume ensures readability night and day. The large polished case combined with the tall double dome sapphire glass makes the watch a true eye catcher. The only Peacemaker with gold syringe hands and seconds hand is the RLE2. 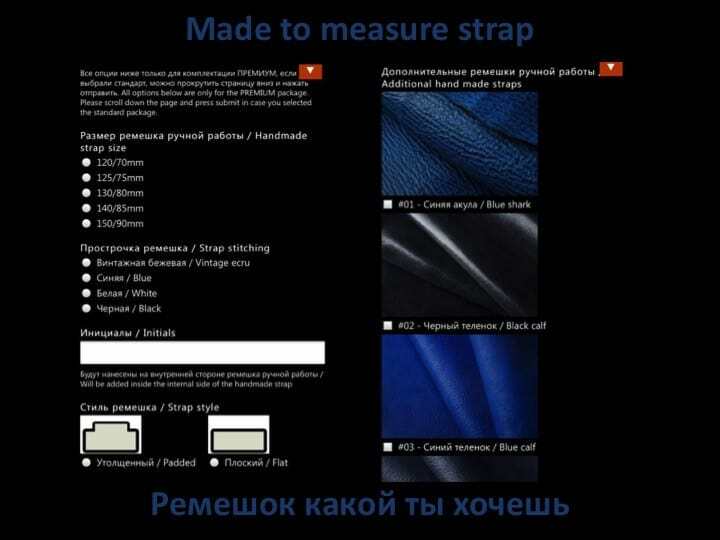 A canvas strap with buckle is also included together with a small leather case (hand made by Brusnitcyn) that can be used for travelling as it is great for bringing an extra strap and a screwdriver with you. 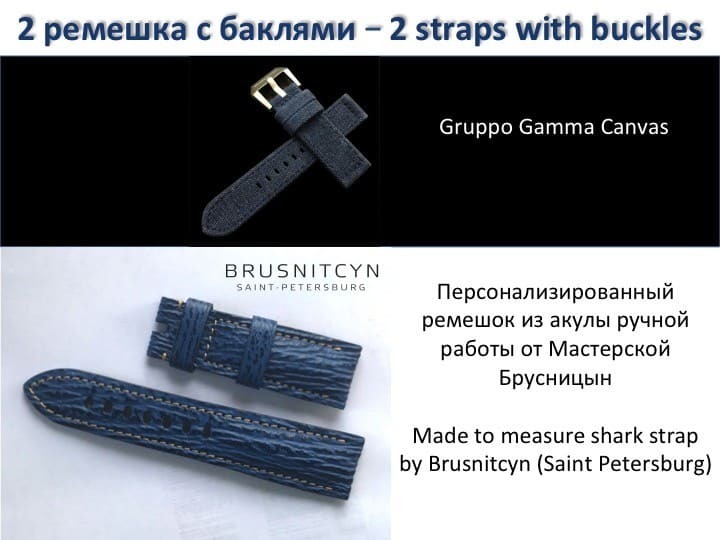 All straps are fitted with matching polished buckles and some of them have Gruppo Gamma written in Russian (ГРУППО ГАММА). 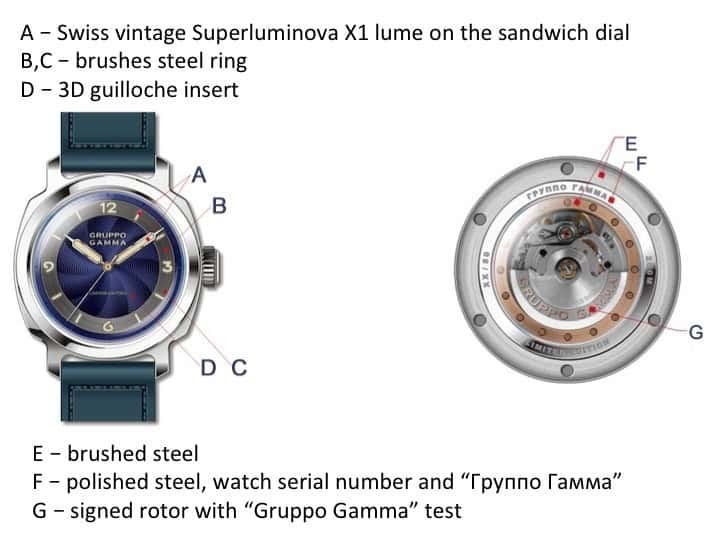 For the first time ever in a GG watch you will find an ETA elabore grade automatic movement, to be admired through the sapphire insert in the caseback. The watch is packed in the GG zipped watchcase which is well known for its quality and durability. Inside you will also find a Gruppo Gamma screwdriver and additional screwbars as requested by many of our Clients before. The watch case can accommodate two watches should you remove the extra straps. As with the first RLE we will be offering two preorders types — Premium and Regular. 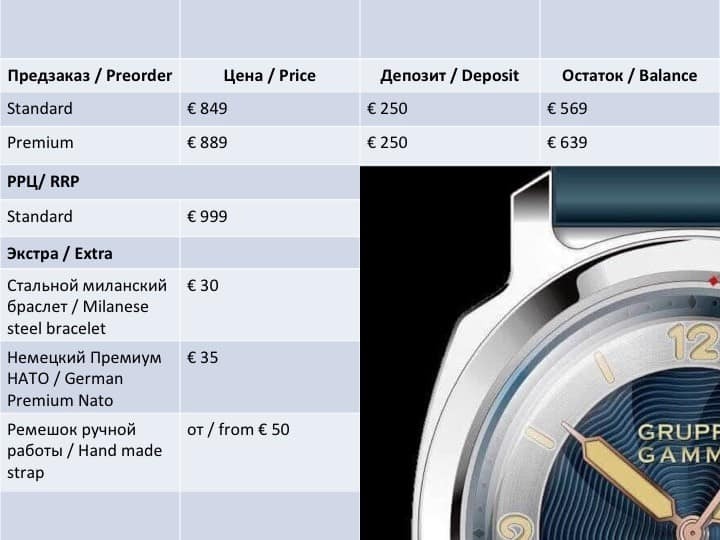 Premium preorders will enjoy faster fulfillment, additional customization (choice of watch number subject to availability, custom strap size and stitching, padding, initials on the strap, possibility of ordering additional handmade straps to be shipped with the watch and an extra surprise). Regular preorders will get a random number and a non customized shark strap. Original RLE owners will get an extra surprise as token of our appreciation for your support. 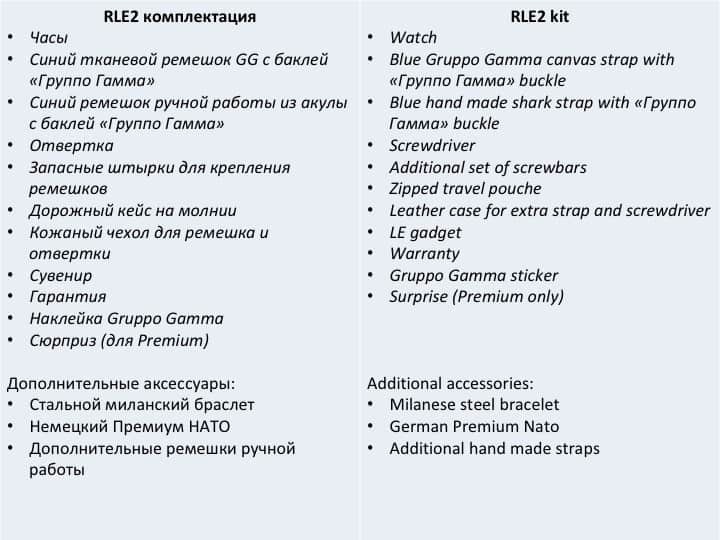 Singapore Clients will be able to collect their RLE2 at the Gruppo Gamma Boutique. 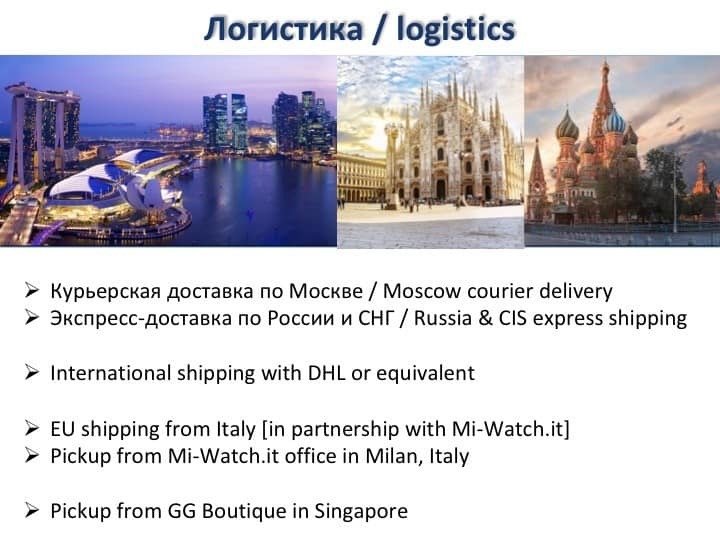 Russian Clients will be able to collect from Gruppo Gamma Russia in Moscow, Italian Clients will be able to collect from Mi-Watch office in Milano. Collection will be on appointment only and no extra costs will be charged for this service. The watch is expected to be ready this winter. 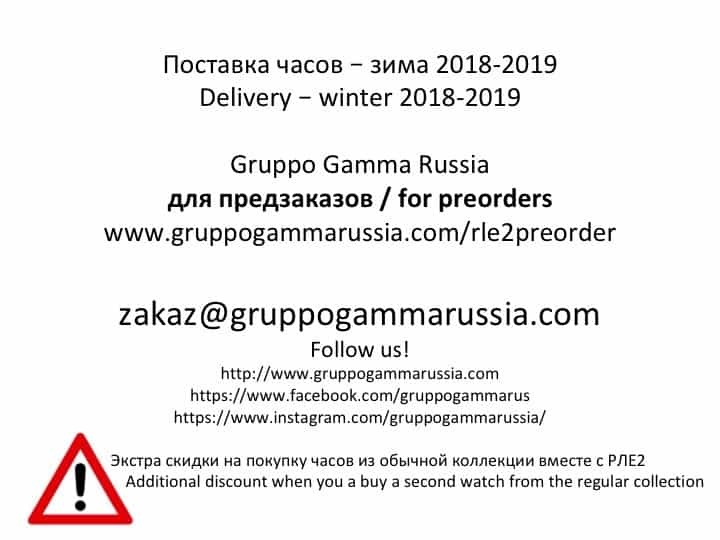 In case you live in Russia or EU and would like to order another regular GG watch to be shipped with the RLE2 you can enjoy and additional discount. Contact us for details. *Many of you know the legendary Akula submarine, the biggest submarine ever made. Akula is also the Russian word for shark. **We will be updating this page with more pictures of the final prototype soon.